Jonas79 wrote: Cool, mscha did an actual -ONG that wasn't by newpixbot. I've done loads of those...  I probably posted more by hand than by newpixbot. ETA: Ah, didn't see the edit. So three newpix more? It'll be interesting to see what happens next. I hope for The Fade In to something else. I didn't make a graph, but it's just simple extrapolation. Next one will probably be #e9e9e9 + 9 = #f2f2f2 (±1), then + 9 = #fbfbfb (±2), and after that, there's nowhere to go but #ffffff. mscha wrote: I didn't make a graph, but it's just simple extrapolation. Next one will probably be #e9e9e9 + 9 = #f2f2f2 (±1), then + 9 = #fbfbfb (±2), and after that, there's nowhere to go but #ffffff. Just wanted to post a blackened version of the current frame, for old time's sake. Quest progress: 438 out of 442 pages. For all intents and purposes, this is the final signpost of my Quest. From here onward, I post in the Now. It has been a strange and grand adventure through the past of the Thread of Time, and I feel I am a better person/poet/knight/etc. for having read it all. And for having met all of your past selves along the way, if only through pastposts and sigcouragement. Time may be fading, but the memories I've gained on my Quest surely won't - they are far too filled with Madness to ever forget! Smithers wrote: It has been more NewPages than usual since the last BlitzGirl update. I hope she's okay. AluisioASG wrote: Uh oh. Run BlitzGirl, run! jjjdavidson wrote: Aahh! While I'm writing this, BlitzGirl at last gives us an update (which unfortunately will probably delay her arrival a good half-hour when she reaches Newpage 438). Yay, BlitzGirl! But I am reminded, BlitzGirl's beret needs to be added to the list of hats. lululu wrote: Hi BlitzGirl! Good luck and randallspeed to you. Also, when the time comes, remember to fill the swimming pool. BytEfLUSh wrote: She is back!!! BlitzGirl is here! Undo the fading, NOW! aeglaeca wrote: Blitzgirl, take Angelastic's advice and don't stop to read all her haikus. Otherwise we may have to wait longer for you than it. Oh well. It's okay, at least I will be here before it. Not-it! I had my name since before the Beginning of Time, so there. Anyway, I use "LaPetite" as a descriptor in my title, whereas LaPetite uses that as her full name (no second name). It feels like we're stalking her. But she wanted that, didn't she? Right? Right? No! I'm the one stalking all of you! I have been a very thorough Time-stalker. Vytron wrote: Yes! I did it! I did it! Best of luck on your Quest, Vytron! You don't know me in your present, as my first signpost didn't appear until newpage 223. But in your future, by the time you reach this post, you should know: we are kindred spirits, you and I! CatHectic wrote: BlitzGirl, I have a small but important request for you. I know you're hurrying up to wait with us before the end of Time, but you will be passing through some musical posts between the saltwater1 and the sea2 strand anyway. Will you please keep your eyes open for some special herbs that will bring comfort, strength, remembrance, and courage to those who will be needing it? Thank you, and keep up that tempo di fulmineo! Herbs? Well, the only one I found in my travels was thyme, hope that will do! AluisioASG wrote: EDIT: BlitzGirl, you're late! I've been late since the Beginning of Time, so this is not terribly surprising. Spaceman Spiff wrote: I've been lurking since the beginning of Time and have read every single NewPage, but I had to delurk before the end of Time (or before the end of the Fade era). I don't believe that Time will end with the Fade. The Great Lord Randall would not introduce a brand new character, LaPetite, so near the end of Time without any explanation. I think that LaPetite has more stories to tell before the end. Also, go BlitzGirl! And go Vytron! We believe in you! Thank you! And I concur. LaPetite is the Chekhov's gun of Time. mscha wrote: BlitzGirl has just come online. At the same time that La Petite walks into the frame, that can't be a coincidence, IMO that's sufficient proof that BlitzGirl == La Petite. Almost certain? And I still don't think I'm LaPetite, as far as I know. Perhaps we are each others' long-lost sisters cruelly separated by Time? ...Well, I guess that's it. Any further responses will come from BlitzGirl of the Present Time! Time for a sea¹ level update. BlitzGirl wrote: Quest progress: 438 out of 442 pages. ETA: You should post the next newpix as well. I still believe you're LaPetite. But perhaps you're alternate universe versions of each other, which would explain that you don't know it. Last edited by mscha on Mon Apr 29, 2013 10:51 am UTC, edited 1 time in total. Yay! *blows party favours* Welcome, BlitzGirl! You can open your Presents now! Hi BlitzGirl *waves*. Yup, this is the present. So, what will your first order of business be Knight Temporal of the One True Comic, Troubadour of Time: Bard of The-Before, Poetess of The-Present, and Versifier of Voyages-Yet-To-Be? Will there be Cake? I'm getting soem disagreement with some peoples colors again...bugger. I'm only a Cardinal (not yet a Knight), but as someone who has also read IT ALL, congratulations! SPACKlick wrote: I'm getting soem disagreement with some peoples colors again...bugger. I have been Waiting since the first day, lurking in the shadows, dipping into this needle-pulled thingy, but without the time to dive in fully. When I learned of Blitzgirl's quest, I decided to Wait for her. I would not register or post until she had caught up with the flow of time. Now she has arrived, just in... well, you get the idea. Whether this fade is a fade out or a fade in, a good Time was had by all. Presents? You mean...I get Present Presents? How exciting! Please take these 3D (or are they 2.5D?) glasses and some popcorn, while we Wait for The End. EDIT: Isn't that song really appropriate for us at this moment? Last edited by AluisioASG on Mon Apr 29, 2013 10:57 am UTC, edited 1 time in total. Also now that your here you can go back and re-do the first 77 pages which was from before you started documenting our lives for us properly. Edit: And just think this is going to be your very first live DONG BlitzGirl!!!! You know, that progression has been bugging me. Intervals of 7, 8, and then 9, but ending with an interval of 4? It just seems, well, sloppy from a man who would hand-draw a Hilbert map of IPv4 space. Latent22 wrote: Edit: And just think this is going to be your very first live DONG BlitzGirl!!!! Last edited by Latent22 on Mon Apr 29, 2013 11:03 am UTC, edited 1 time in total. Woo! My first live ONG was a BLITZONG! Tower still standing. Or floating, almost. As we appear to be approaching end times, I just wanted to say thanks on behalf of the multitudes of lurkers and infrequent posters here for the amazing journey that all you cardinals, popes, milliners, poets, colour analysts, graphists, pilgrims through time, etc have taken us on. I've been quietly lurking since the 2nd or 3rd newpic, and this has turned into something that none of us could have imagined. I expected the world to be sad. And I expected it to be wonderful. I expected it to be beautiful. I expected it be brilliant. Now, just waiting for it. Almost entirely white on Chrome now, unless you look at the screen on an angle (not that how it looks on Chrome is particularly important). And congratulations Blitzgirl! Kazza3 wrote: Almost entirely white on Chrome now, unless you look at the screen on an angle (not that how it looks on Chrome is particularly important). And congratulations Blitzgirl! Now my only problem is I have to coma soon and I don't know if their will be anything to wake up to afterwards. And welcome from Down Under, Blitzgirl. As I said sometime in the past, you have made me think of "The Last Centurion" from Doctor Who, waiting through the centuries until he finally reaches the present. Welcome to now! There's something entering the frame on the left! Don't worry, Latent 22 - even if Time fades out, this needle-pulled thing is awfully persistent. I have a feeling we'll still be here for you to wake up to! And thank you everyone for such a warm welcome!! Oh wow, eyes like a a hawk. EDIT: Save the flag, LaPetite! Zorin_75 wrote: LaPetite on the left? Indeed, I missed that. Most certainly La Petite, BlitzGirl's evil twin from an alternate universe. Of course, as some people (can't be bothered to look up who) have prophesied, she arrives just before Time is all faded out, so we'll never know what she's up to. Is she bringing something? A trebuchet, maybe? I don't know if she's my evil twin - she hasn't done anything particularly terrible...yet. Nice to finally meet you in Now! BlitzGirl wrote: I don't know if she's my evil twin - she hasn't done anything particularly terrible...yet.